Pinstriping has been used for centuries as ornamentation, on furniture, musical instruments, carriages, bicycles, signs, and early motor vehicles. <?xml:namespace prefix = o ns = "urn:schemas-microsoft-com:office:office" /> Pinstriping follows no guidelines. 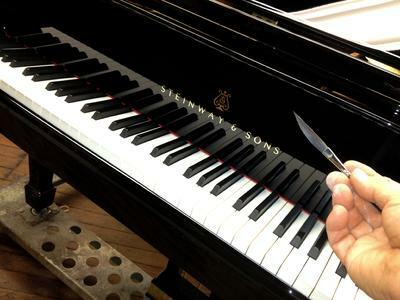 It is truly an enigmatic and intriguing art form. For today's automobiles it is the perfect compliment, ideal for enhancing multicolored schemes as well as solid colors. The thin lines that run down the side of a car can make all the difference in the world. 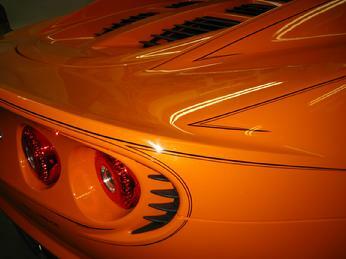 Pinstriping can give a vehicle life & personalization. 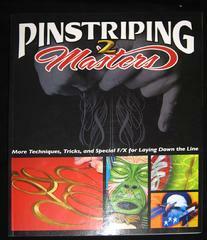 Gary's pinstriping gallery is divided into three sections. Pinstriping of VEHICLES the second selection displays pinstriping PANELS these are one of a kind works, and are for sale. Panels can be custom painted upon request. The third is a SPECIALTY section. The pictures above, to the right & below are your links to these pages. Gary is one of the few Pinstripers using urethane based paints. He adds a hardener for more durability. Continuously demonstrating that his style is not static, the "Local Brush" is always creating new and individual looks. He has always been hovering above the cutting edge. Gary says, "Quality and a clean sophisticated appearance is the most important thing." Perfection is in the details!